Microwell heat pump range has been carefully conceived and designed to offer a comprehensive line of heating solutions that can serve any pool size; from small residential pool to hotel or spa and large leisure centre pools with volume exceeding 400m3. 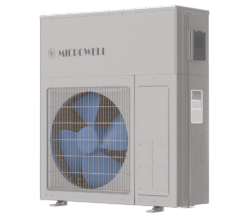 Microwell heat pumps also include comfort SPLIT range designed for full year heating of internal and external pools. 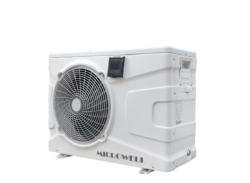 Microwell has also designed special winter accessories allowing heat pumps to work effectively by -15°. 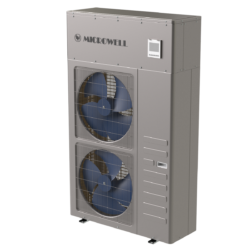 While most of pools close for winter or are heated with other systems, Microwell heat pumps continue to heat pools regardless of weather steadily all year long. Heat pump’s sources of noise are compressor and a fan. 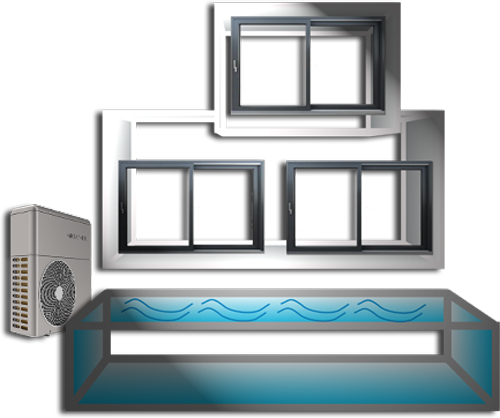 These are installed in split heat pump’s outdoor unit which is placed away from a pool as far as 30 meters horizontally and 15 meters vertically. 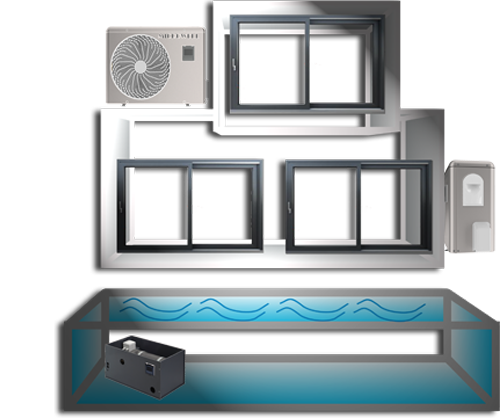 The result is warm water without seeing or hearing the heat pump working, effectively providing pleasant warmth. Compact heat pump is one device, one box, that provides desired water temperature in your pool. Requiring only water connection, power supply and convenient place to be installed, it’s simple and affordable system for every outdoor pool. Split heat pump consists of 2 blocks. Outdoor unit is the source of heat. 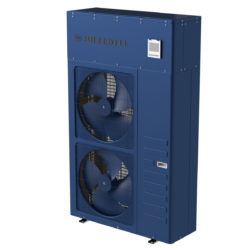 It contains a compressor, ventilator and air heat exchanger. Indoor unit contains water heat exchanger and control sensors.  Split heat pump provides remarkably more comfort than compact heat pump.